I arrived in Korea yesterday on a flight from Signapore Air. I must say, Singapore Air provided the best international flight experience I’ve had so far. The seats were comfortable, the food was passable, and the entertainment was plentiful. I will most certainly be using them in the future whenever I can. 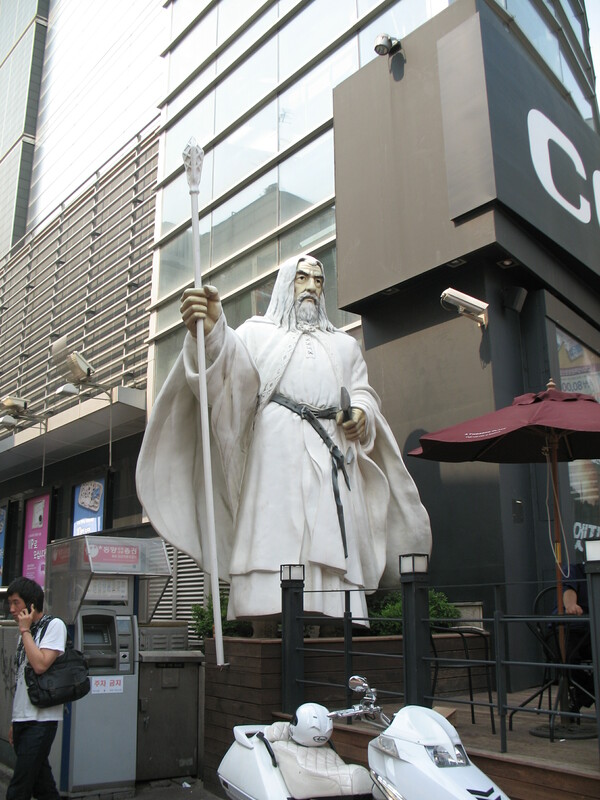 One of my favorite things about Korea is the random snippets of western culture. When I was in grade school, a teacher once gave the assignment to make a collage. I remember just going through magazines and cutting out pictures of anything I thought was interesting. The resulting project was . . . interesting to say the least. 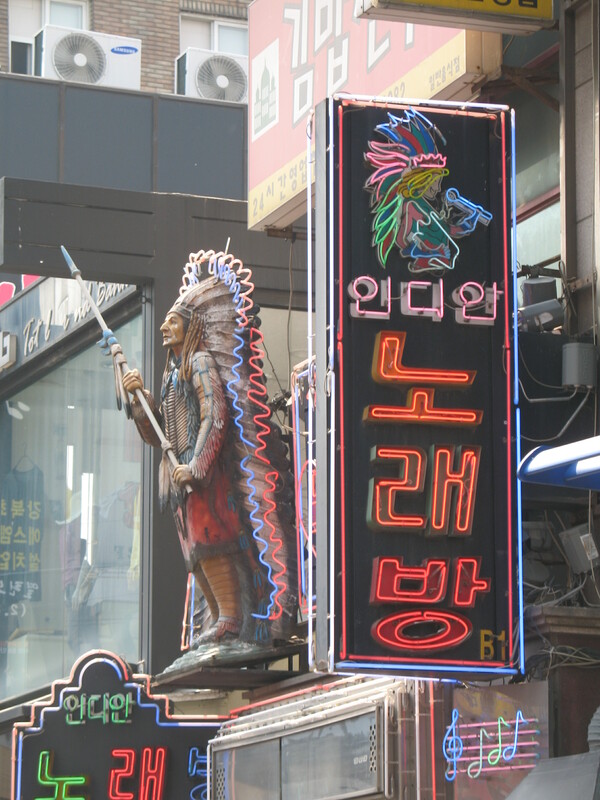 However, that collage is sort of like what walking through the streets of Korea can be like. Behold. I can’t express how jealous I am of your proximity to something that is described as “too many donuts for one story.” Seriously, why you and not me? 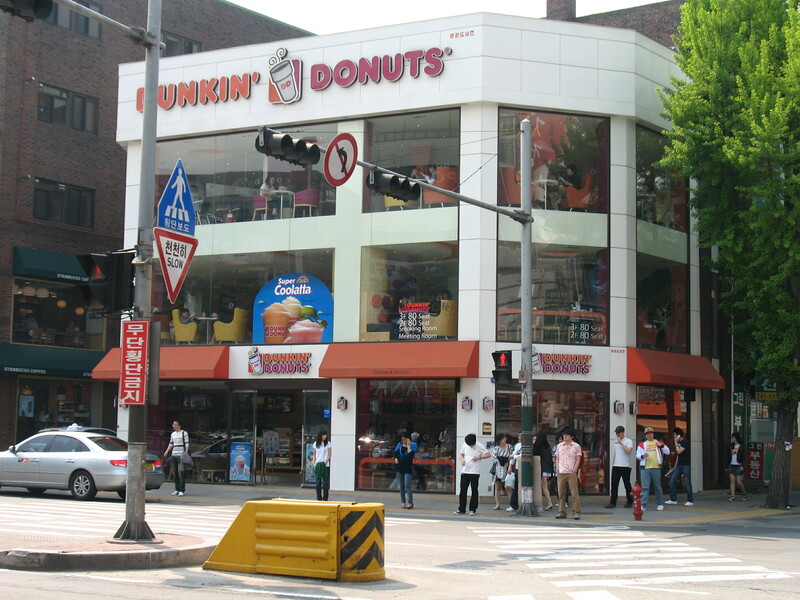 I’m so glad you put up pics of all of these wonders–especially the Dunkin’ Donuts. Definitely 3 floors.